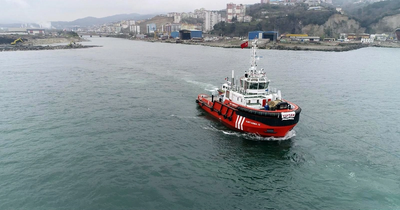 The engines and steerable thrusters supplied by Wärtsilä are delivering for a pair of two new tug boats operated by the Turkish Directorate General of Coastal Safety. Following sea trials, the first vessel is already in operation, while the second will enter service in April 2019. The vessels were built in Eregli under project management by the Yutek shipyard and site team, and the orders with Wärtsilä were booked in 2017. 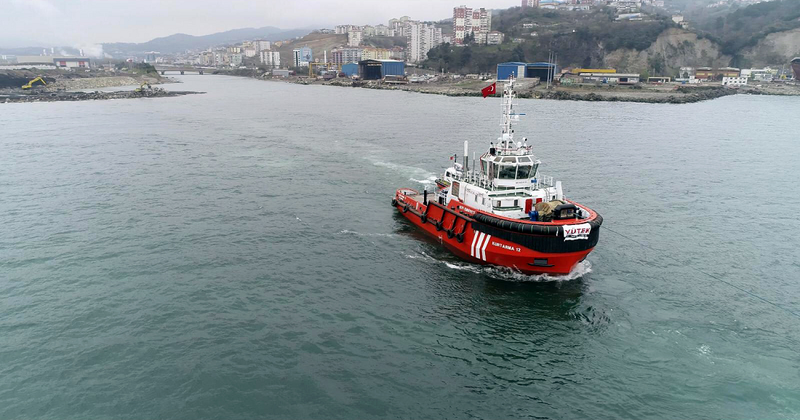 The bollard pull rating for the tug boats has been certified by the Turkish Lloyd classification society as being 75 TBP. Bollard pull is the conventional measure of a vessel’s pulling power. This exceptional performance is achieved through the combination of a six-cylinder Wärtsilä 26 engine and a Wärtsilä WST-24 steerable thruster, controlled by a Wärtsilä ProTouch propulsion remote control system. To achieve 75 TBP, an 8-cylinder engine would normally be required, and by reaching this level of pulling power with fewer cylinders has a positive impact on both Capex and Opex costs. The tugs will operate in Turkish waters on the Bosphorus Strait of Istanbul.